NORWICH gave me a Super Single winner but that was as good as it got with a few shocks beating my other main lines. Sheffield United were one of those and Dundee United were another and they'd have been two of the most backed teams north and south of the border. Well done to anyone who managed to beat the bookies on Saturday including Greg with his over 2.5 goals treble and Desmond with a both to score double. Sunday is dominated by the Old Firm derby and I've posted a Celtic vs Rangers preview. And garydoc has put up some Celtic vs Rangers BetBuilders. It should be fiercely fought and I'm taking a chance on a red card – a Rangers red is more likely and that pays 7-2. In England, the big game is Liverpool v Spurs and there's plenty to look at on the Continent too. Kevin Mac has posted match previews for Cardiff City vs Chelsea and Liverpool vs Tottenham. 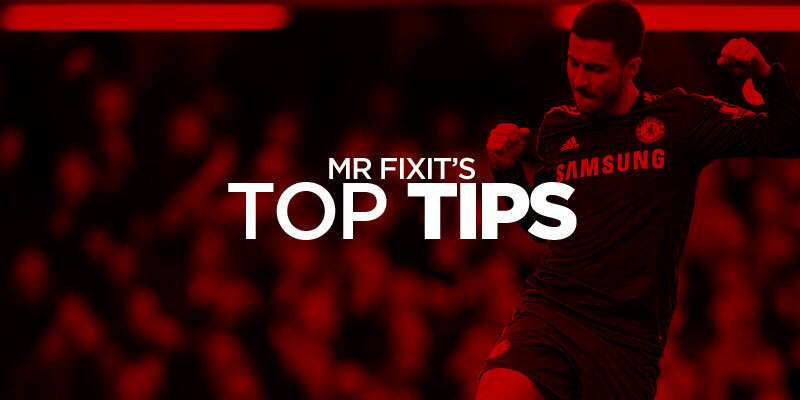 I'm starting Sunday's tips with a both to score treble. Liverpool v Spurs could be a cracker and five of the last seven meetings at Anfield have seen both sides score. Liverpool need a win after Man City's success yesterday but have conceded in their last three – even Fulham scored – and Virgil van Dijk proved he is human by making a mistake. Adding the big game in Holland between Ajax and PSV. Four of the last six in Amsterdam have seen both sets of fans celebrating and Ajax have conceded in four out of six. PSV's defence is better and a draw will protect their five-point lead but should score. Statistically I'd have completed the treble with Eintracht Frankfurt v Stuttgart but a home win is more likely so I'm adding Inter v Lazio which has produced five times out of seven. Both sides are in good form and scoring so we should see plenty of action here. Not a brilliant card today and value difficult to find but for a Top Treble I'm on Monaco, just one defeat in two months, at home to a Caen side who have sunk to the foot of the table. Add another side who have been revived by a boss change and that's Real Madrid who should beat basement boys Huesca by at least two. Complete the treble with Eintracht who face a Stuttgart side who are terrible away having picked up one point in seven road trips. Scott Allot also likes Eintracht and on his return from holiday has posted a European treble. Opened a betvictor account for the 1st time earlier on this afternoon. Was a spur of the moment thing, omg is it just me or is it so slow and seems laggy? Really shouldn’t moan though as my first acca with them has made me a lovely profit. Absolutely beaming. £10 8 fold All in apart from Cero porteno, have already cashed out partially for £355, im over the moon 👌😁 Just need Cero for another £300. yeah it is a bit stick with it tho keep ckecking your messages for offers. Agree with Mr F, card today lacks value, the goal odds on the Koln game are ridiculous ! Anyhow concentrating on Danish games, as follows! Good luck all with bets today! This is more hope than anything but it’s decent price and Morelos has scored a few headers and also been unlucky with a couple at Parkhead last season. The rumoured Celtic team I’ve seen doesn’t have him starting but incase he does I’ll put it up now as I’ll be in the ground when the teams are announced but Toljan looks a decent shout to be carded and has picked up a few so far. Cracker of a tip on here yesterday with norwich i will be reading this every saturday! Red card and penalty in both games. Pays just under 20/1 Liverpool v Spurs. Just under 23/1 Cardiff v Chelsea . Worth a small punt . All the best mate . Based on Wark’s selections up there 👆I’ve cobbled together a couple of trebles for interest today. Morning lads no joy with my goals bet in the Everton game,how my bets didn’t land i will never know,on to today. A must win game for Liverpool,having said that though Man City have to play 9 games from the 1st April to the 30th April and it’s hard to see them winning every game as players are going to be rested somewhere along the line and them fixtures include a double header with Spurs,so were in for a thrilling end to the season and i reckon this game today should provide us with plenty of goals. Good bet mate, i wont be watching so was trying to double it up with old firm cards but the odds were poor for the game on glasgow. Dedryck Boyata is due a goal for Celtic. Any time scorer 14/1 betfair . Nice 1 Mr H, THANKS. Bet Victor card offer- Morelos/Brown to be carded dub 5/1.£20max. On it. Celtic. – 1 goal . Rangers most booking points. Celtic – 1 corner. 7/1 Hills your odds . Last one is a bit risky with 2 away sides and an unders but both those always are in great form and fighting for the title while the Glasgow derby sees a team that doesn’t need to win against a team that can’t afford to lose. Generally those types of games are low scoring and cagey. I’m hoping for a potential goal rush in Brazil tonight. Botafogo women are taking on Caninde in the second tier. I’ve had some joy betting on this league over the last week and there’s been some mad scores including a 7-3 which I was on and a 9-2 which I wasn’t. What’s attracting me to this is the lack of data on the away team. While Botafogo are hardly setting the world alight they are an established team whereas who knows with the opposition… In my opinion these early stage games are worth a speculative punt because I don’t believe the bookies have much to base their pricing on. It’s on Betfair by the way, and probably others. Great shout – most of the usual suspects carded. Halliday’s red after the game won’t be counted by bookies. So with a squeak of profit, we move onto today. Not a big fan of the card so just a small attempt to squeak some value out of the opening Scandinavian games. Gonna join DC in Germany, too. Excellent card tips mr f and all! Great shout on the red Mr F, got on that as well! Have both teams red @ 16/1 but don’t think we’ll lose the head now. Cracking 2nd half in store and feel a big win coming on! Cheers, always has a chance in this fixture. Cleaned up again, a Lustig card away feom a full house and he should have been with half a dozen fouls. Thought Rangers 2nd half performance deserved more. Goal fest in the maritimo vs nacional game!! No SKOV ! Still believe the hosts will find the net! Goals in England for an in-play win not posted. W/Hills offering 9/5 for over 3 cards! picked out a game for later which looks favourable for goals, with a good chance of both teams contributing. Some great shouts here today, more than decent prices too. Celtic game bonkers, rangers probably deserved a draw with 10 men but Morales good player he is, is a liability in big games, he needs to grow up quickly, or his career will be blighted by his temperament. Cardiff robbed by an offside equaliser and a red card not given means they are probably down now. Mackems v Pompey, what drama, 2 late equalisers and shame one team had to lose. And well done klopp for gambling on going 4-2-4 and thanks to lloris not catching the ball get the win. They have more points now than they did the last time they won the league with 6 games left and still not certain of winning the league. It’s amazing to think with the amount of points Liverpool have they aren’t champions,absolute madness,it’s going to go down to the wire and you have to say whoever wins it deserve’s to.79 points incredible and only 1 loss what a team and what a season.Forget the other so called big four,City and Liverpool have set the tone and it’s going to take some for the other big four to match these two sides in the coming years. Mr F I’ve just read your comments from yesterday about my grievances on Friday nigh concerning McBookie. . I had a good lift despite the disputed outcomes & can honestly say my claims can be substantiated with screen shots but the part about Standard Liege win& BTTS is hearsay aa ive no physical evidence too support it but it was selected upon my reading of another contributors input. As I said they’re looking to compensate you so either contact them or email me. Late goals! Only makes for small profit on the day with Kiel failing to fire. But every penny counts. Well done all winners. Cracking card punts, Fraser. Literally not won a thing today. Appalling. Full house for some tidy profit today! I second Mr Orange’s sentiments. Made plenty of money off it in the past. They’ve finally broken the deadlock just before half time. I still think the floodgates can open here. Stats from Bet365: 69/5 Dangerous attacks, 8/0 shots on target, 8/0 shots off target, 6/0 corners. That’s dominance. Really thought this had a great chance when like came back to win from 2-0 down but real Madrid letting in 2 goals against Huesca and inter having way over 20 shots and not finding the net ruined it.